Thermostatic mixing valves, tapware and floor drains were some of the products from Galvin Engineering specified for a new purpose-built animal research and teaching centre at the Gatton campus of the University of Queensland. Laing O'Rourke constructed new high quality facilities for the most comprehensive animal research and teaching centre in Australia. 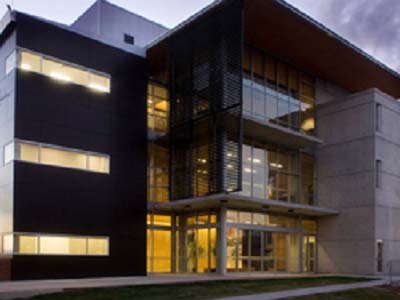 Designed by Architectus, the world-class $80 million School of Veterinary Science was built at the university's Gatton campus, 90 kilometres west of Brisbane. The project involved construction of four new buildings including a veterinary hospital, teaching and research facilities, a substation, and one refurbished building housing teaching laboratories. Core features included the Veterinary Science Building with three large science research laboratories; UQ Veterinary Hospital, which operates as a fully-equipped equine clinic and large animal hospital; John Mahon 2 Building providing pre-clinical teaching laboratories; and Veterinary Teaching and Research Facility supporting teaching and research into small animals. Galvin Engineering supplied and installed CliniMix thermostatic mixing valves in stainless steel cabinets, surgical lever tapware, laboratory tapware, Flowmatic electronic tapware, stainless steel ball valves, floor drains and wastes.